Great Fashion at the Best Sale Prices! 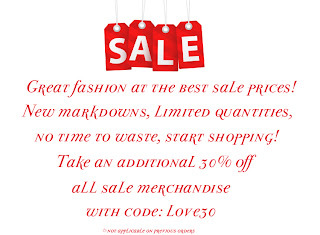 Check out this sale, the greatest fashion at the best prices! New markdowns, limited quantities, no time to waste, so start shopping!